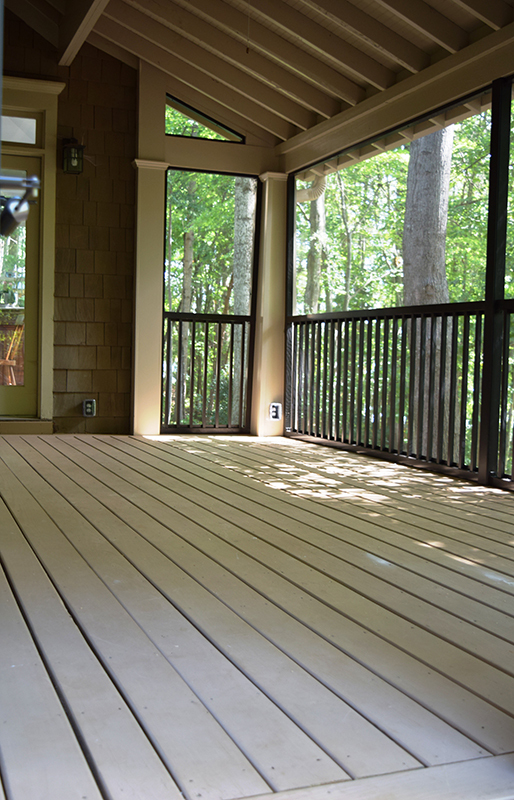 JAG came to the rescue on this old rotted lake front open deck. 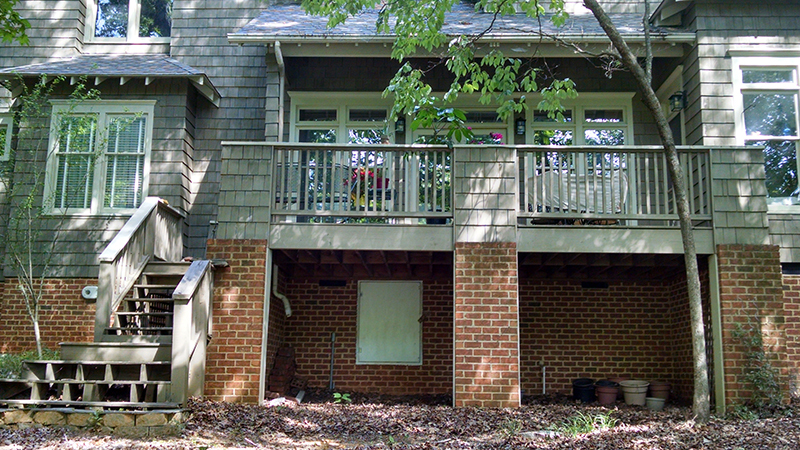 The stairs and several decking boards were so rotted out it was dangerous to be step on the deck let alone enjoy being in the backyard enjoying the view of the lake. 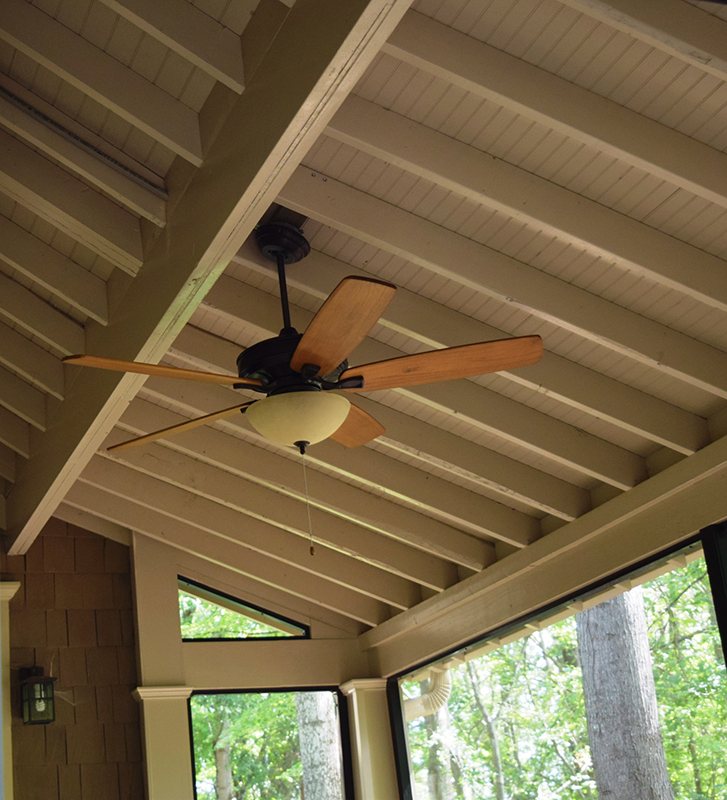 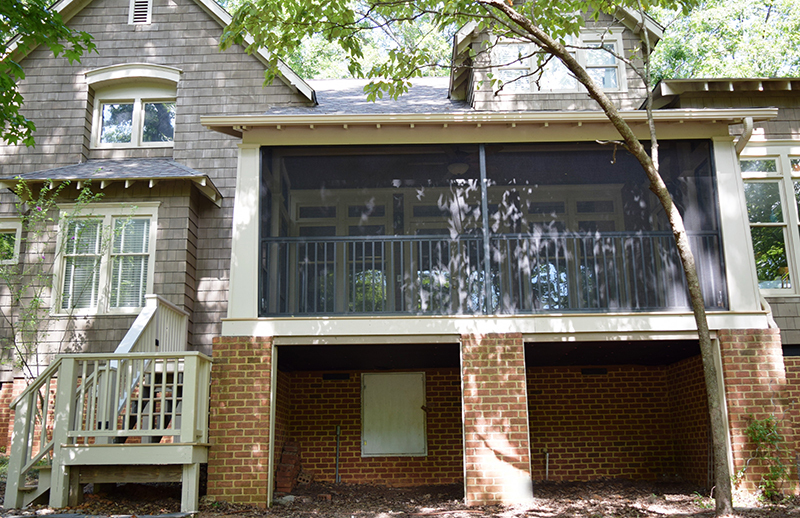 JAG’s client always wanted a screen porch her whole life and was frustrated on how to finally get her screened in porch. 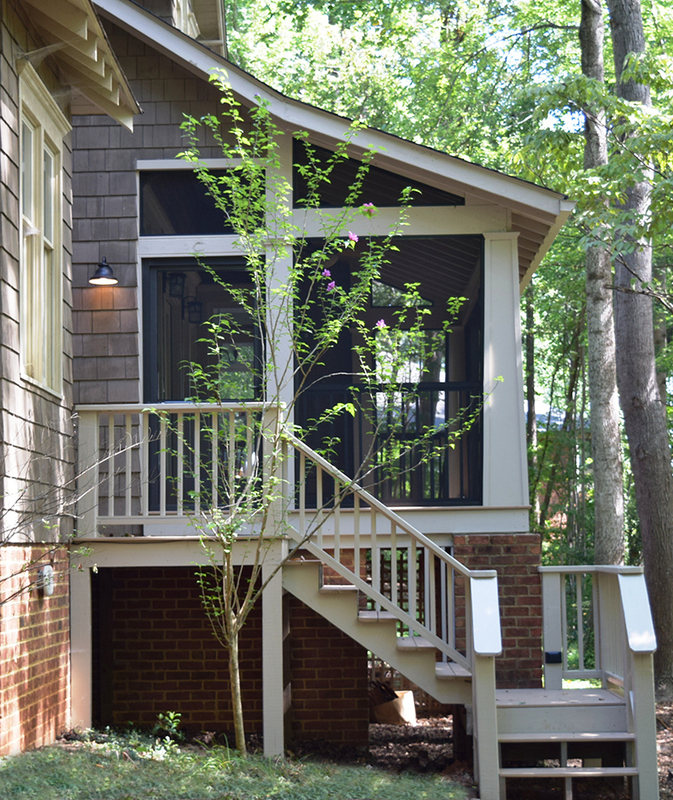 JAG removed all the rotted decking and the entire stairway and the cedar shingled rail posts and railings down to the framing to start with a new canvas. 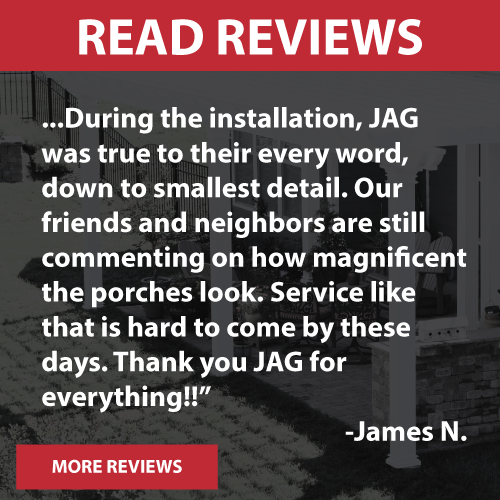 JAG’s crew installed all new #1 premium pressure treated decking and entirely new set of stairs per the clients input and extended the existing house roof line to create a screen porch on the clients old open deck. 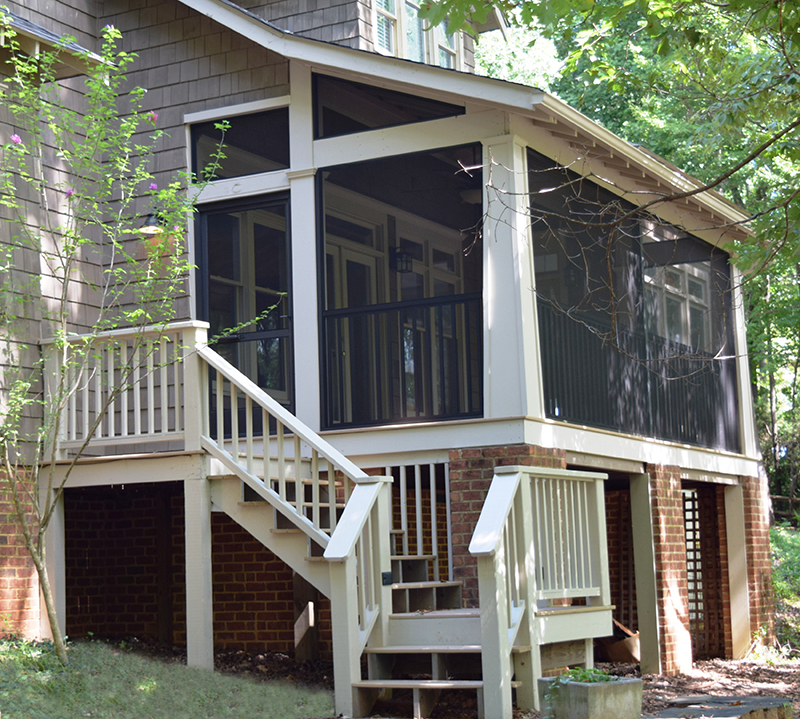 Some of the features of the new screen porch include exposed rafters with a beaded ceiling detail to match the existing home, tapered columns in the corners to match the columns on the front of the home to keep the same architectural detail a maintenance free screen system with a screen door, a new ceiling fan with a light kit, low voltage lighting going down the stairs for safety, 3 added electrical outlets all finished off with a new coat of fresh paint and solid stain decking all picked out by the client and ready to be furnished.